Dr Ruth Harker offers thread face lifts at the Erme Clinic. This technique is now well established and Dr Harker uses Silhouette Soft threads, the top of the market product with terrific results. The thread technique is aimed for the more mature woman where the lower part of the face the jaw-line and lower cheeks have started to droop. If you are at the stage where you look in the mirror and you push up at your temples with your hands and get a considerable lift of your lower cheeks and jaw- line then this procedure may well be the one for you. 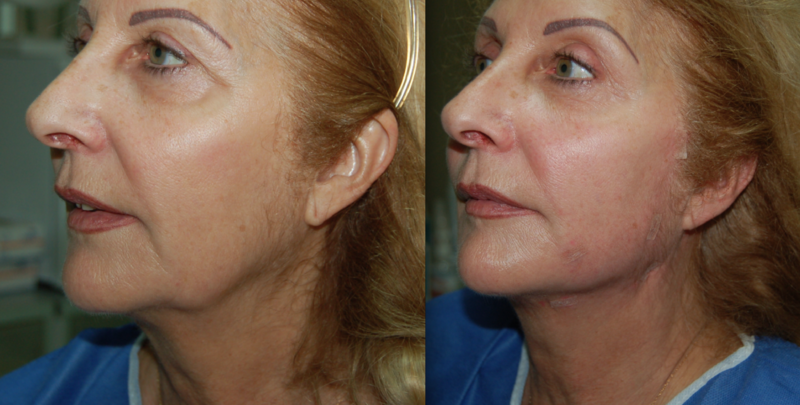 You can rediscover a more defined facial outline that’s both natural and discreet. Silhouette soft sutures both lift and provide volume for an immediate and long lasting effect. Bi-directional cones provide traction to support and lift the subcutaneous tissues, while polylactic acid stimulates progressive restoration of lost collagen. Please phone the Erme Clinic on 075 302 544 05 or email on info@ermeclinic.co.uk to make an appointment or for a call-back for advice.